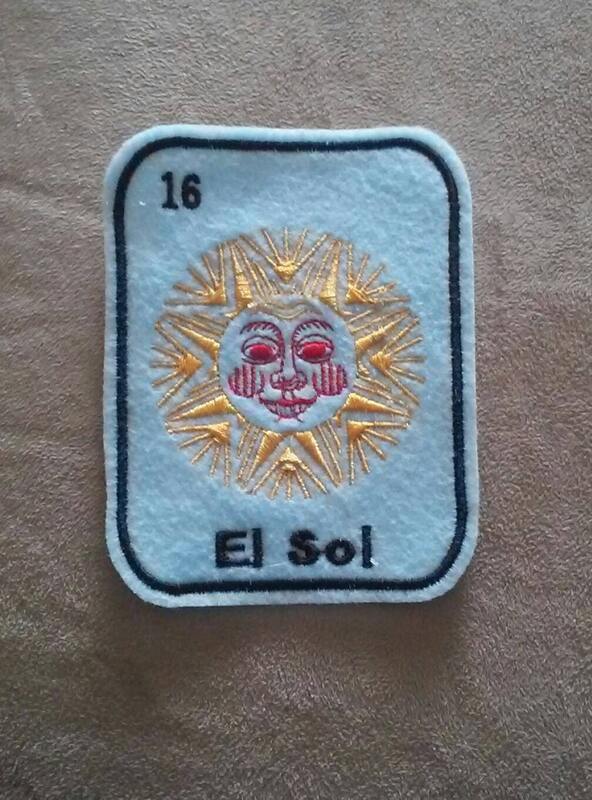 It is about 4 inches tall, and I embroidered this on a light blue felt. 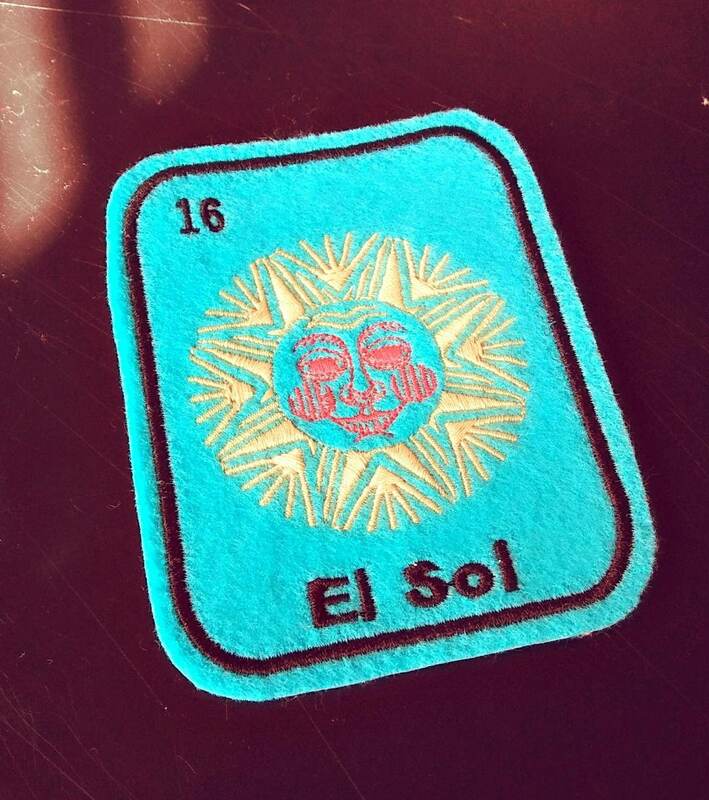 Love these patches! Truly look and feel one of a kind!